Dan Crippen is the former executive director of the National Governors Association (NGA). From 2011 to 2015, he worked with governors to identify and prioritize the most pressing issues facing states and oversaw the day-to-day operations of the association. Founded in 1908, NGA is the only bipartisan organization of the nation’s governors. NGA promotes visionary state leadership, shares best practices and speaks with a collective voice on national policy. Crippen brings a wealth of knowledge and experience in state and federal budgets, healthcare and retirement issues. Prior to his work at NGA, Crippen served as the director of the Congressional Budget Office from 1999 to 2002, supporting the Congressional budget process and providing expert analysis to guide and inform economic decision making. Since CBO, Crippen has worked in the private and nonprofit sectors primarily on healthcare—including Medicaid, health IT, and healthcare for elderly and complex patients. 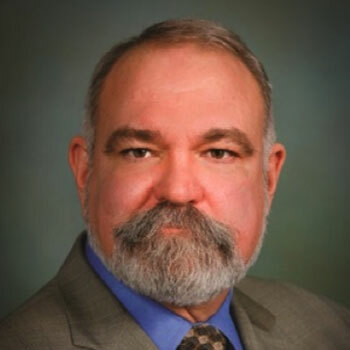 Crippen completed his undergraduate work at The University of South Dakota and earned a PhD and a master's degree in public finance from Ohio State University.